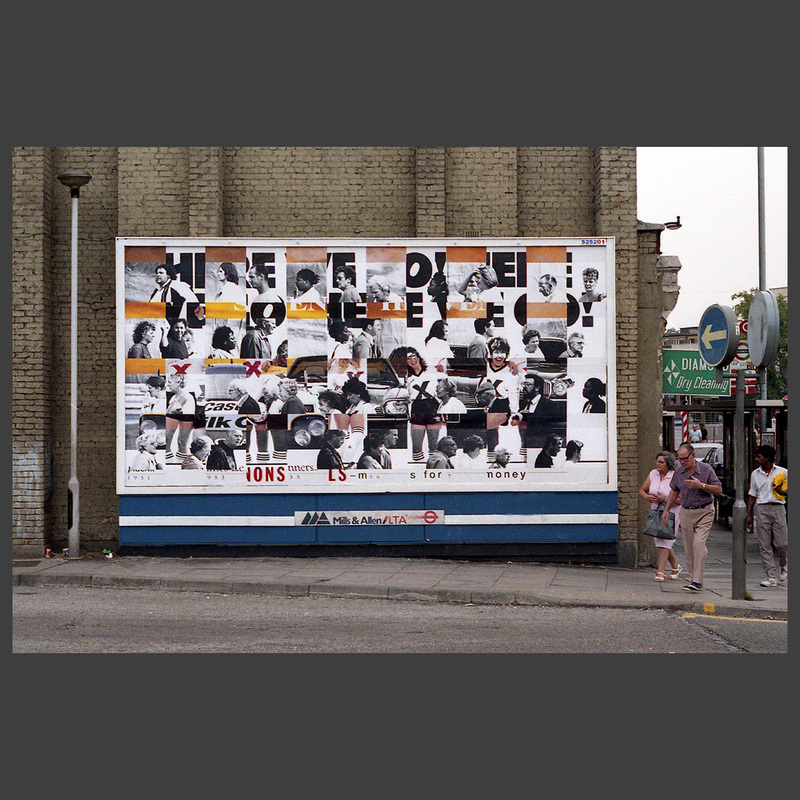 Sometimes it seems that the large-scale, full colour, glossy imagery of advertising hoardings has little to do with the mundane normality of the daily life which takes place beneath them. 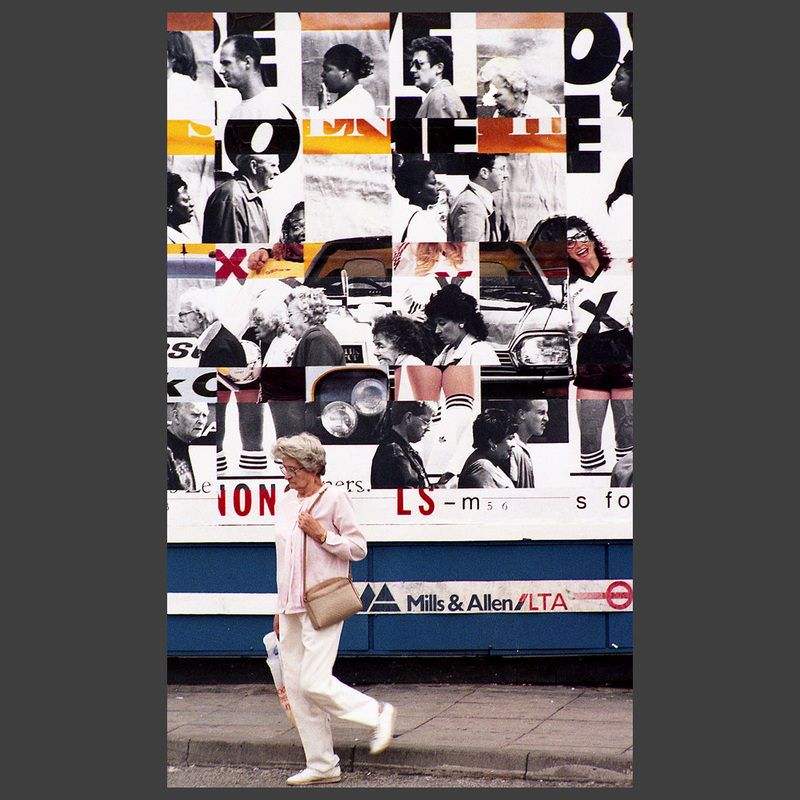 In People poster these two worlds are brought together. 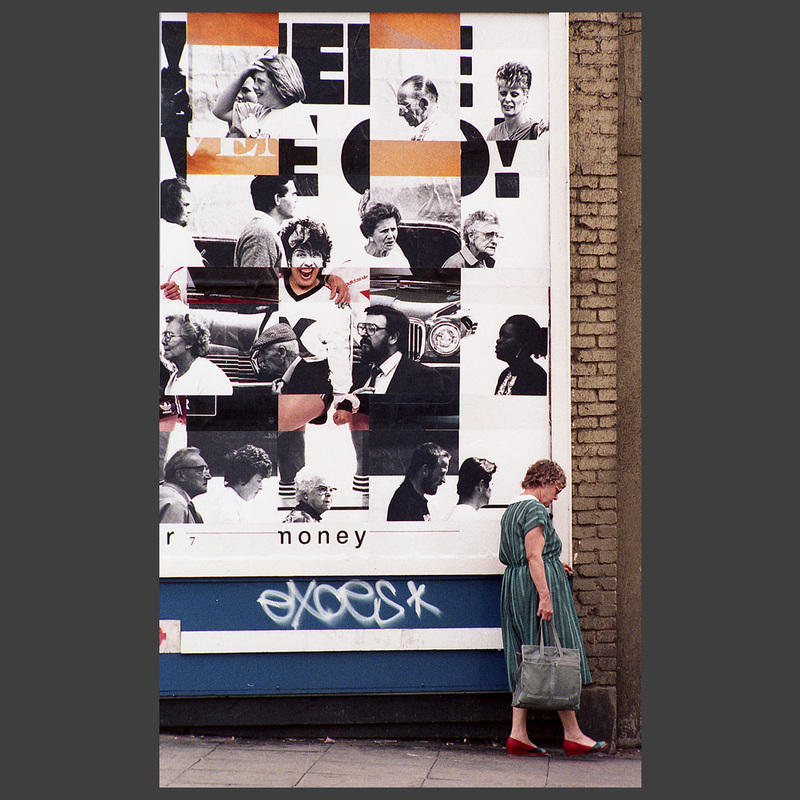 Two different advertising images were alternated to form a backdrop against which photos were taken of local people passing by. 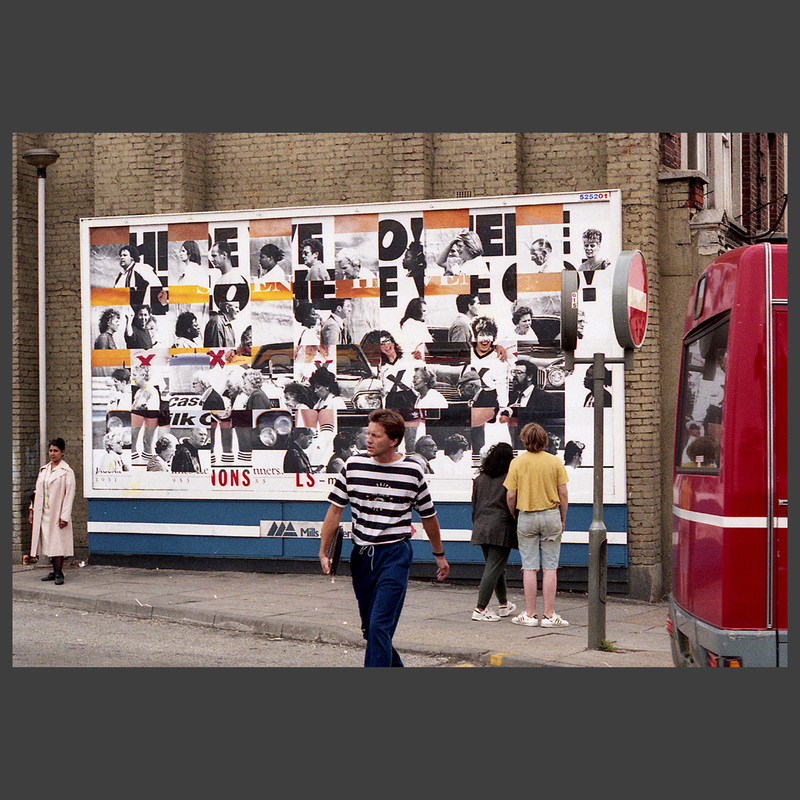 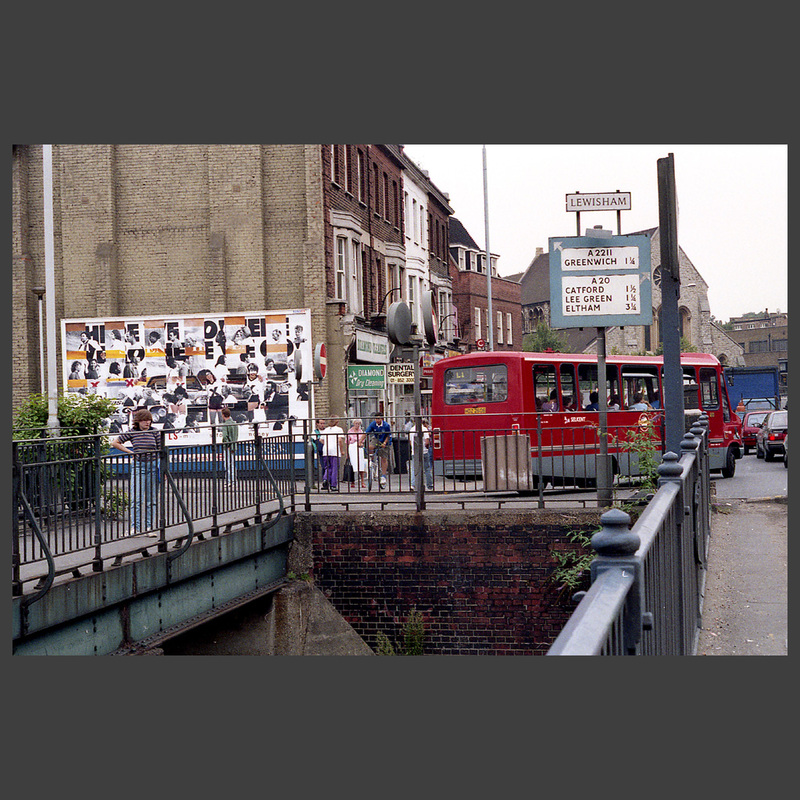 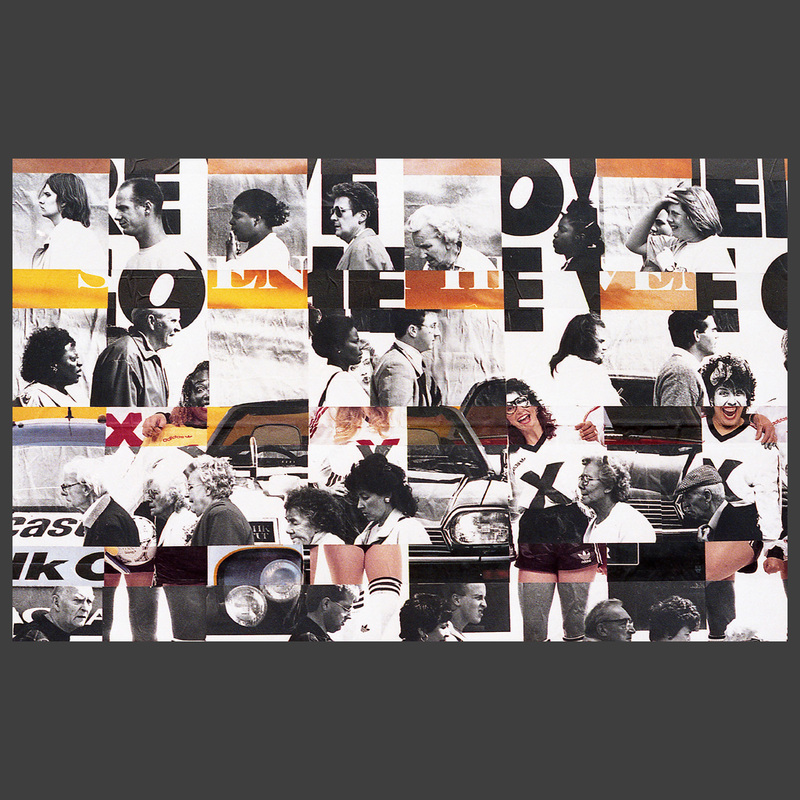 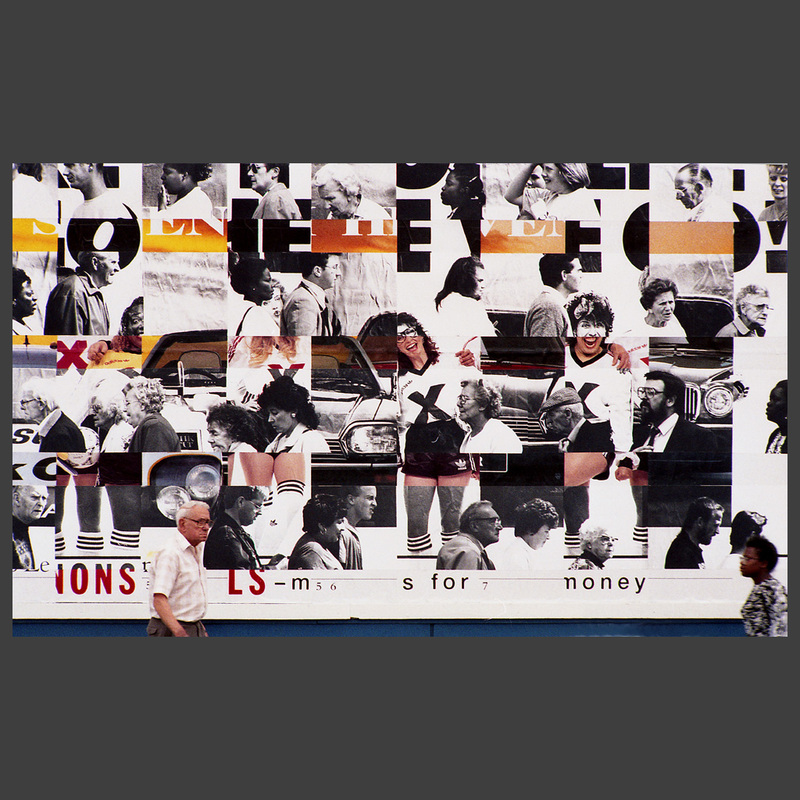 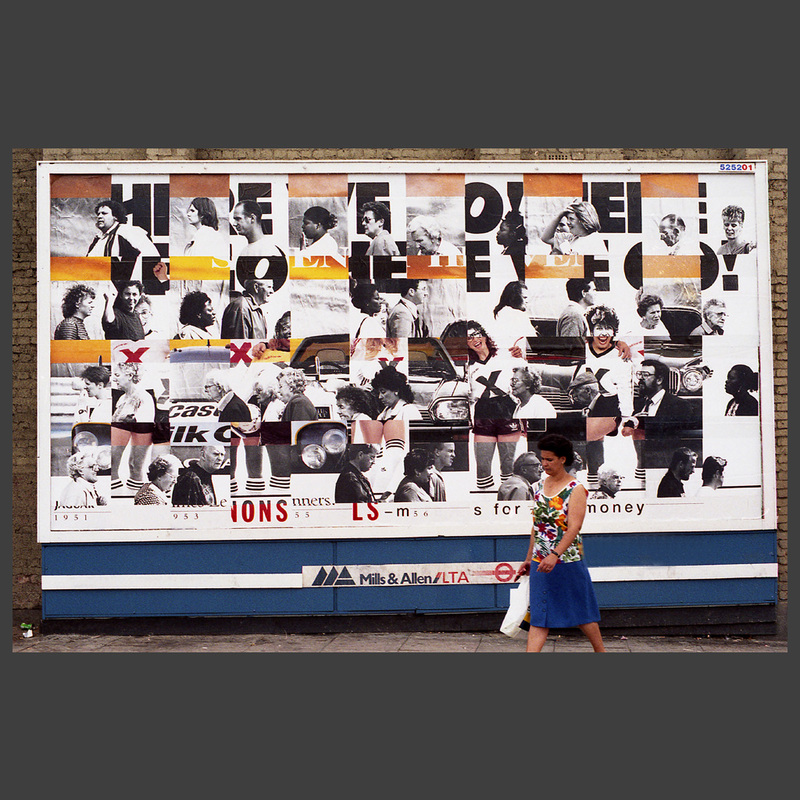 The resulting life-size prints were mounted back onto the hoarding and passed upwards in the sequence, before the next set of images was shot. 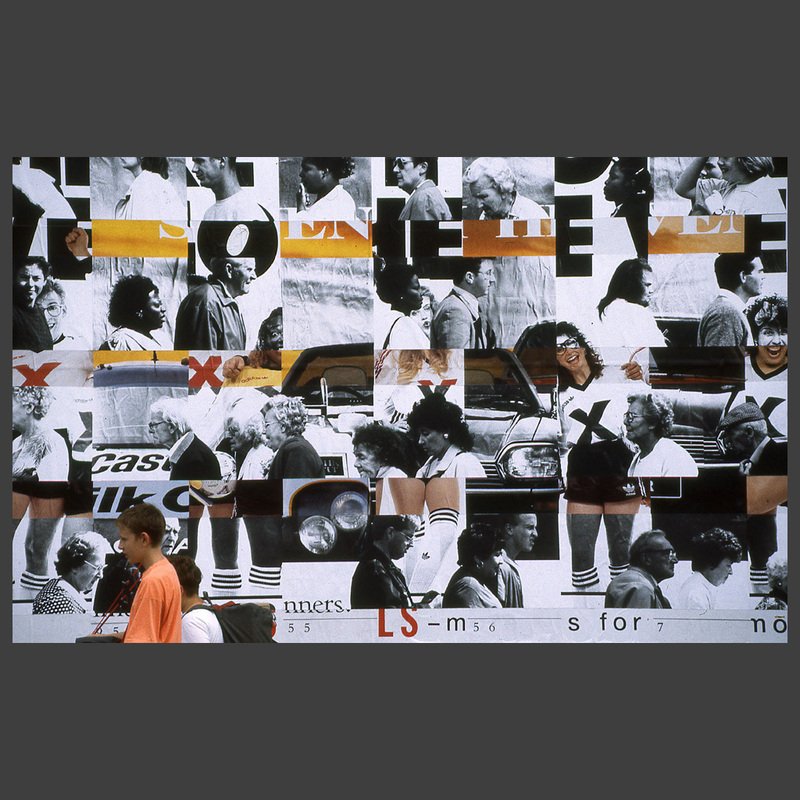 The final poster describes a complicated board game in which lines of real people make their way through a complex network of advertising imagery. 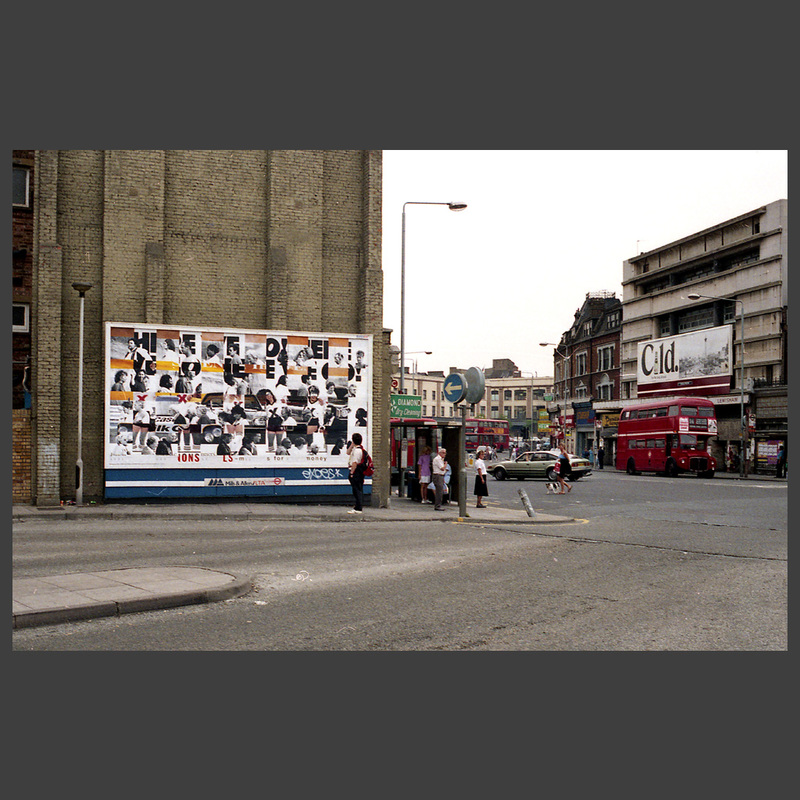 It is hard to tell whether the lines of people are rising upwards or falling downwards – or what is the current state of play in the game.